James Gorman and company are planning to turn what's left of their proprietary trading operations into an electric trading unit. This follows Morgan Stanley's decision last month to "break off its largest proprietary-trading group, Process Driven Trading, or PDT, as an independent advisory firm by the end of 2012." Meanwhile, Morgan Stanley's main rival, Goldman Sachs, has also been deleting its prop-trading units due to the Dodd-Frank bill's Volcker Rule (which prohibits banks from trading in their own accounts). Goldman has recently shut down its equity prop-trading unit and lost several of its big swinging quant traders, who've left the firm to start their own funds. 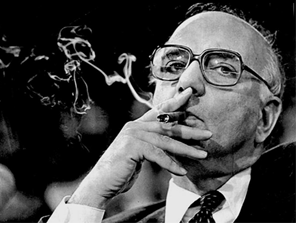 All of which must make Paul Volcker one very pleased lawmaker.